Polish Amor ♥: Giveaway Time... WOOOOHOOOOO!!!!!!! Can you say Glitter Galore!!!! If you are glitter LOVER you will most definitely be excited about this Giveaway!!!! 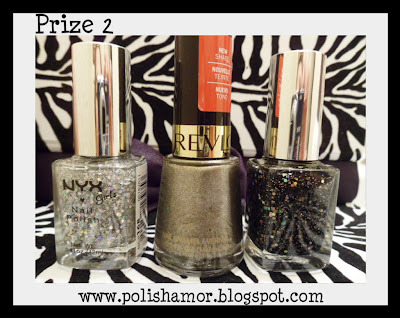 A few weeks ago I went out to buy the new Revlon Glitters, and decided to buy an extra set for a giveaway... THEN I ran into a full display of Revlon Carbonite which is supposed to be a dupe to Chanel Graphite :) & there you have it!!! The Carbonite looked so lonely it needed company.. in comes in MORE GLITTER!!! 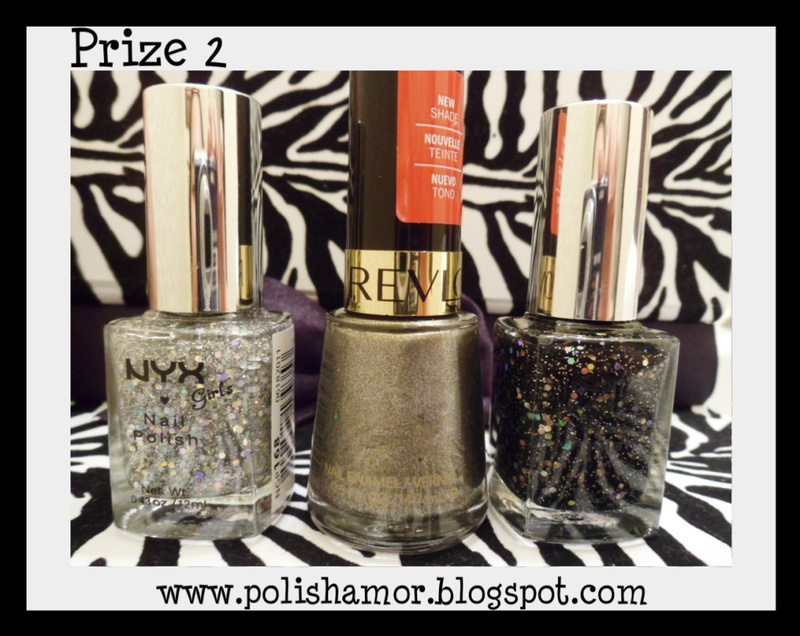 I will pick 2 winners for this giveway!! Please fill out form for a chance to win! Open to ALL residents, US and International!!! Please fill out the form ONE TIME per person, multiple entries will be disqualified. You must be 18yrs or older or have parents permission to enter. 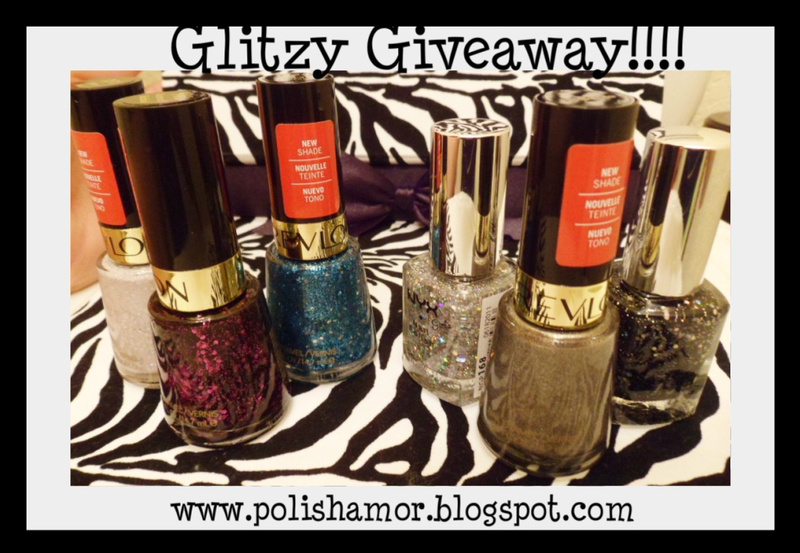 Looks like an awesome giveaway!! Don't be mad-but I will NOT be entering and I think you have an idea why!! I'm a glitter hater-there I said it!!!! Love your new blog design! Thought you were gonna try a new comment system? Eek! I love this stuff! Awesome giveaway! 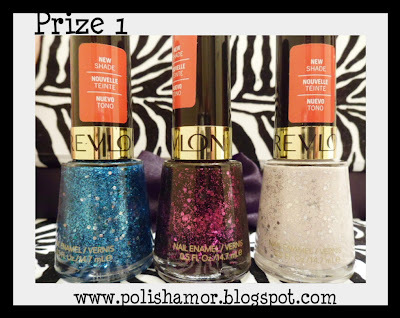 I would love to enter, but I already own the majority of those awesome polishes! Such a great giveaway! Good luck everyone! I am about to share it on my Facebook page though!!! !